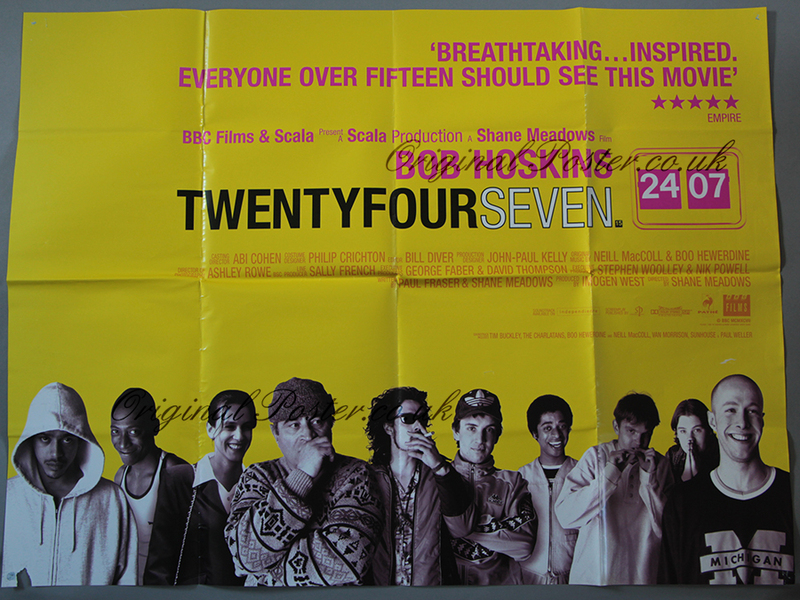 Details This is the double-sided British quad from the Director Shane Meadows. Bob Hoskins is pictured complete with wooly jumper and hat as the friendly former boxer who establishes a boxing club on the council estate. Many of the actors pictured make their debuts. Colour poster for a film bravely shot in black and white. Tony but of paper lift at bottom right and staple hole. Plus paper loss in bottom left corner as seen.